Guest Blog: The New Face of Corporate Activism - The Idea Inc. While we like the sound of our own voice here at The Idea Inc, every week we want to showcase the voices of other bloggers or articles we think do a good job of conveying an important message to business. We are a company that loves to work with businesses that have a purpose and much of the time that means some sort of social activism may come into play. 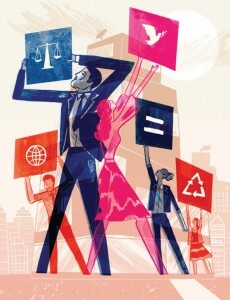 This article looks at the face of corporate activism, and shares some interesting points on how that face is changing and how corporations can use it to their advantage. It is a very interesting read, and definitely worth your time.